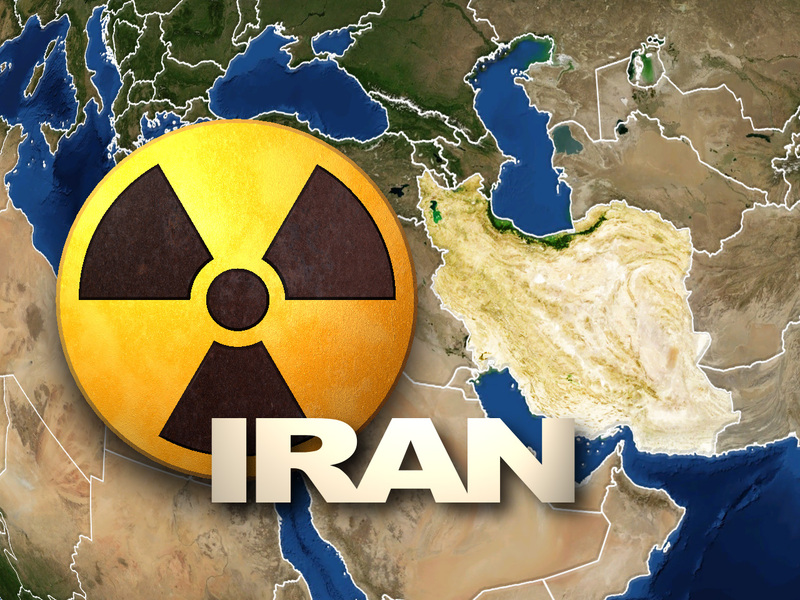 Much has already been written about the horrendous nuclear treaty with Iran just negotiated by Obama in July 2015. We have seen this film before. Substitute Iran with North Korea and you have it all set out. President Clinton cut a deal with North Korea in the mid 1990’s to halt their nuclear program. Of course, North Korea lied, as all totalitarian regimes do, and set off a nuclear weapon shortly after Clinton left office. With Iran, our only hope is that the U.S. Congress will be able to stop implementation. The bottom line is that the world’s number one State sponsor of terrorism, radical Islamic Iran, will now be able to get nuclear weapons in the not too distant future, They will either use the weapon as a psychological tool to continue their expansionism in the region, or they will use it in reality. In either case disaster is on the horizon. There is only one truism, the time to stop Iran is before they acquire nuclear weapons, not before. In the Middle East ten years is but the blinking of an eye. This blog is a two-part series that deals with the under reported story of how President Obama’s view of nuclear weapons is weakening America’s national defense in the real world. For a complete examination of these issues see Game of Bombs: Obama’s Nuclear Nonproliferation Regime, 3 University of Baltimore Journal of International Law 1 (2015). One of President Barack Obama’s favorite solutions to reducing or halting armed conflict in the world centers around his often-stated desire to rid the world of nuclear weapons. While this simplistic formula for a more peaceful world has certainly been voiced by other occupants of the oval office, the world is, and always has been, an extremely dangerous place, and the machinations of competing spheres of power in a “Game of Thrones” will always exist in human history. Coupled with an aggressive Russia and China, the dangers associated with the new era of radical Islamic extremism rubricate the need to view the naiveté of President Obama’s vision of a planet without nuclear weapons with great caution, particularly when a large part of the so-called Obama solution calls for the unilateral weakening of America’s nuclear arsenal. To the serious student of history, the maintenance of a well-trained military—armed to the teeth with the best weapons available—is far more than a political or philosophical issue; it is an absolutely vital component to the national well-being of any freedom-loving nation, including the United States of America. Simplistic epigrams about “peace and brotherhood” achieved through unilateral reductions of America’s nuclear arsenal only encourage the probability of war by non-democratic entities. In the modern era, a well-provisioned nuclear arsenal serves as a significant deterrent to aggressive behavior by those rogue nations who possess nuclear weapons. In addition, reckless reductions of America’s nuclear arsenal will certainly mean that the number of nuclear-armed nations will increase, not decrease. Those States friendly to American interests that rely on the umbrella of America’s nuclear protection, such as South Korea, Japan, Saudi Arabia, or many of the new European nations, may now be compelled to develop their own nuclear arsenals in order to counter the threats of aggressive totalitarian regimes now armed with nuclear weapons. As of this writing, with 193 nations in the United Nations, there are only nine states known to possess nuclear weapons – the United States, Russia, Britain, France, China, India, Pakistan, Israel, and North Korea. South Africa disassembled all its nuclear weapons in the 1990s, following the end of Apartheid, and the Soviet Union’s client states quickly returned their nuclear weapons to Russia with the collapse of Soviet Union in 1991. Today, the United States and Russia continue to lead the world in the volume of nuclear weapons. The United States has an estimated 2,150 active warheads with a total stockpile of 7,700. Russia has an estimated 1,600 active warheads with a total stockpile of 8,000. Britain has an estimated 160 active warheads with a total stockpile of 225. France has an estimated active arsenal of 290 warheads with a total stockpile of 300. Communist China tested their first atomic bomb in October of 1964. Although the number of active warheads in their arsenal is unknown, their total stockpile is believed to be near 250. In 1974, India tested their first nuclear weapon, “Smiling Buddha.” India is thought to have a nuclear weapons stockpile of 90-110 warheads. Pakistan tested its first nuclear weapon in May of 1998, and is thought to have between 100 and 120 nuclear warheads. While it is unknown whether North Korea has developed a warhead that is small enough to be carried on a missile, their current stockpile of nuclear warheads is ten. Israel keeps its nuclear capabilities confidential, but is thought to have produced a nuclear weapon as early as 1967. The actual active arsenal of Israeli nuclear warheads is unknown, but estimates range between 60 and 200 warheads. Since Prague, President Obama has taken specific steps to implement his utopian vision of a nuclear weapon-free world. First, in 2010 the Obama Administration released its official guidelines for a nuclear free world in its Nuclear Posture Review (NPR). The Obama NPR listed five key objectives: (1) prevent nuclear proliferation and terrorism; (2) reduce the role of nuclear weapons in America’s national security strategy; (3) maintain strategic deterrence and stability at lower nuclear force levels; (4) strengthen regional deterrence and reassure American allies and partners; and (5) sustain a safe, secure, and effective nuclear arsenal. Second, rubricated by the premise that the two super powers must abolish their arsenals of nuclear weapons, the United States signed the New Strategic Arms Reduction Treaty (New START) with Russia in 2011. In the wake of the NPR, President Obama directed his administration to conduct a detailed review of the United States’ nuclear deterrence requirements for his new employment strategy. Incredibly, echoing back to his unilateral decision to dismantle President George Bush’s missile defense plan for Europe, President Obama unilaterally announced that the United States would pursue further nuclear arsenal reductions by reducing nuclear weapons stores to one third below what was called for in the New START!